“Damn my education, I can’t find the words to say with all the things caught in my mind” – Noel Gallagher. It is a line taken from the Oasis song “Don’t Go Away” which was released the same year I left Bangor Grammar School, 1997. 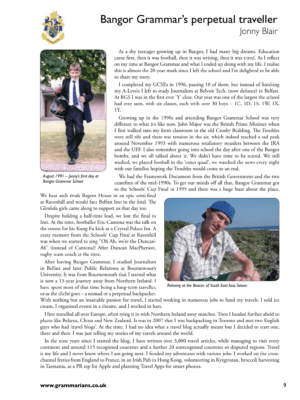 I wrote very recently how it just passed the 25 year mark since I started studying at Bangor Grammar School in my hometown of Bangor in Northern Ireland. I started there in late August 1991 and I left in June 1997. It has been a crazy 25 years since then and I cannot quite believe the journey my life has undergone. I didn’t mean to travel the world and end up in Gdańsk! 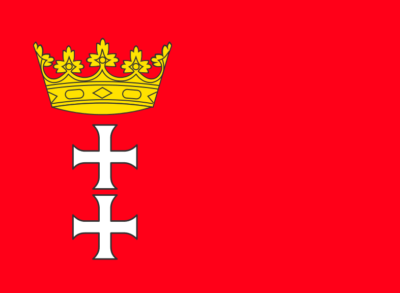 The Bangor to Gdańsk story is so ridiculous that I run an entire business from this website and have 147 chapters of a book written on the strength of it. “And I said hey, what’s going on?” – 4 Non Blondes. 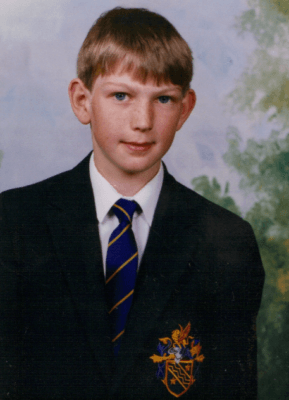 From Bangor to Gdańsk: my first day at Bangor Grammar School. But the 1990s at Bangor Grammar School were not my glory days. I mentioned how I am at ease with the past now and my time at the school despite hating the school and many of my teachers during my years there. We get older, wiser, more mature (somehow). I’m proud of the past, but I don’t pinch exam papers anymore. 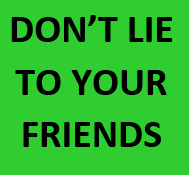 I learnt that honesty is the best policy and nowadays, I despise liars. 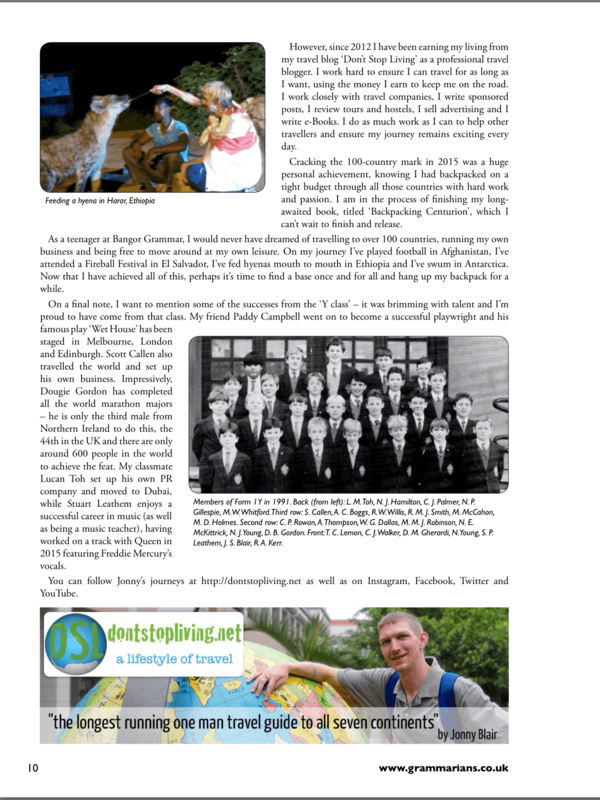 It is an absolute delight and privilege therefore that I can now share the fact that I am mentioned on the front page and included in a two page feature in the school annual “Grammarians” magazine. I was happy that Terence from the Old Boys Association got in touch and I feel happy to have shared my 130 country journey with the school where I first learnt about Chernobyl, Gdańsk (once the Free City of Danzig) and Trapeziums. I really hope my article can somehow inspire some youngsters in my hometown to follow my journey in some way. 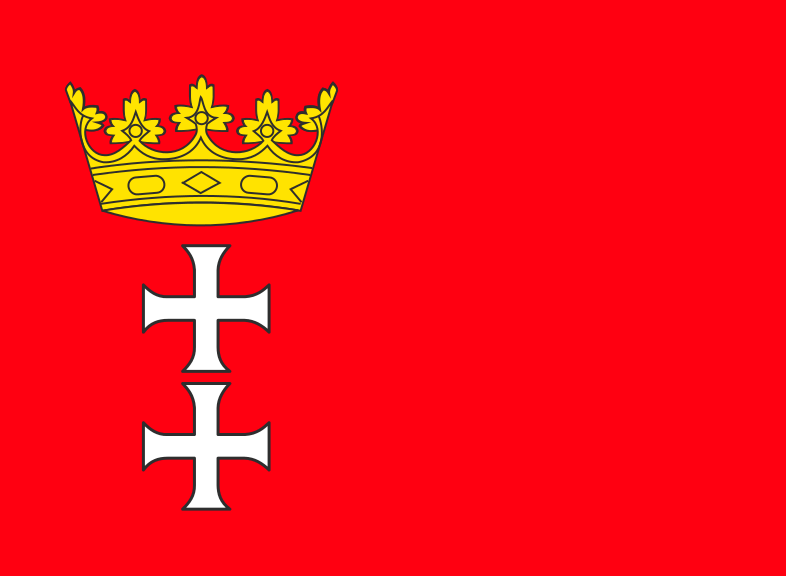 But things in life are always a little insane for me, there was a really strange coincidence to come, something I noticed from my new base here in Gdańsk, Poland. So basically in August 2016, I was featured in my current home of Pomerania in Poland in a local newspaper. It was the Gazeta Kociewska. In that newspaper, I was mentioned on the front page and featured on Page 9, in a report on my travels. They also included the “Don’t Stop Living” logo/header in the article. 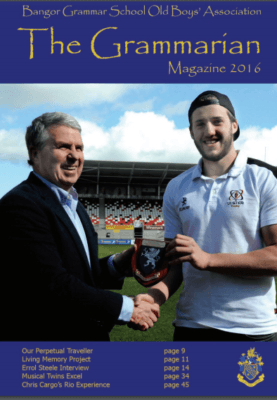 A week later in September 2016, I was featured in my hometown of Bangor in Northern Ireland in my old school magazine. It was the Grammarian. 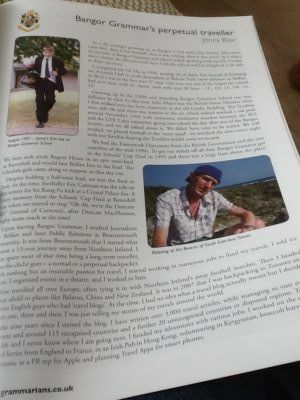 In that magazine, I was mentioned on the front page and featured on Page 9, in a report on my travels. They also included the “Don’t Stop Living” logo/header in the article. De ja vu! 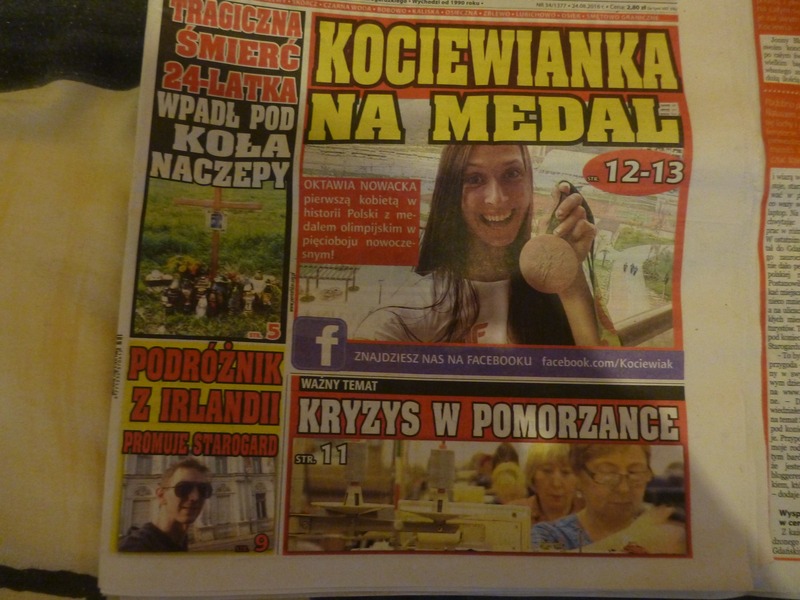 Front Page mention in the Gazeta Kociewska in Starogard Gdanski, POLAND! Thanks to Terence who edits the magazine, The Grammarian, I am able to share my article and the front cover only on here. To see the full magazine, you’ll need to sign up here. As a shy teenager growing up in Bangor, I had many big dreams. Education came first, then it was football, then it was writing, then it was travel. 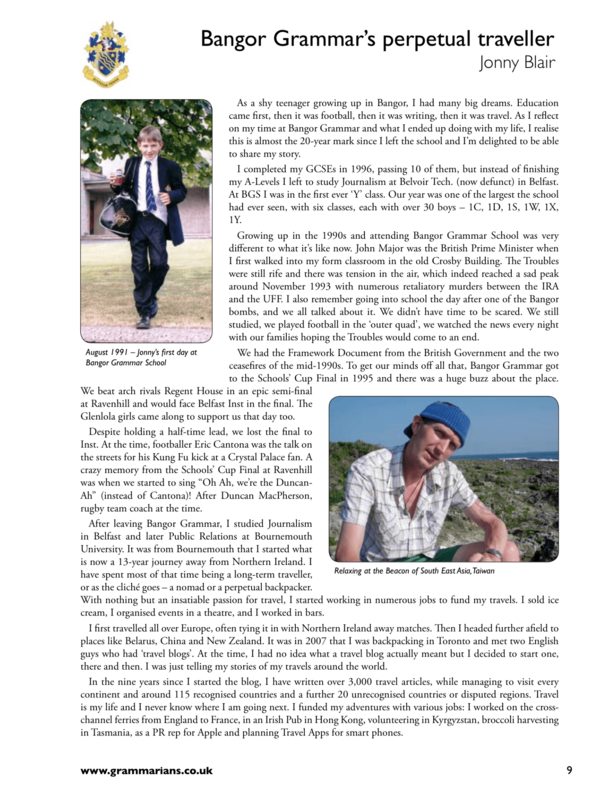 As I reflect on my time at Bangor Grammar and what I ended up doing with my life, I realise this is almost the twenty year mark since I left the school and I’m delighted to be able to share my story. At BGS, I completed my GCSEs in 1996, passing 10 of them but instead of finishing my A levels, I left the school to study Journalism at Belvoir Tech. (now defunct) in Belfast. At BGS, I was in the first ever “Y” class. Our year was one of the largest the school had ever seen, with 6 classes of over 30 boys per class – 1C, 1D, 1S, 1W, 1X, 1Y. Growing up in the 1990s and attending Bangor Grammar School was very different to what it’s like now. John Major was the British Prime Minister when I first walked into my form classroom in the Old Crosby Building. The troubles were still rife, there was tension in the air, which indeed reached a sad peak around November 1993 with numerous retaliation murders between the IRA and the UFF. I also remember going into school the day after one of the Bangor bombs, and we all talked about it. We didn’t have time to be scared. We still studied, we played football in the ‘outer quad’, we watched the news every night with our families hoping the troubles would come to an end. We had the Framework Document from the British Government and the two ceasefires of the mid-1990s. To get our minds off all that, Bangor Grammar got to the School’s Cup Final in 1995 and there was a huge buzz about the place. We beat arch rivals Regent House in an epic semi-final at Ravenhill and would face Belfast Inst in the Final. The Glenlola girls came along to support us that day too. Despite holding a half-time lead, we lost the final to Inst. At the time, footballer Eric Cantona was the talk on the streets for his Kung Fu kick at a Crystal Palace fan. A crazy memory from the Schools Cup Final at Ravenhill was we started to sing “Oh Ah, we’re the Duncan- Ah” (instead of Cantona)! After Duncan MacPherson who was the rugby team coach at the time. After leaving Bangor Grammar, I studied journalism in Belfast and later Public Relations at Bournemouth University. 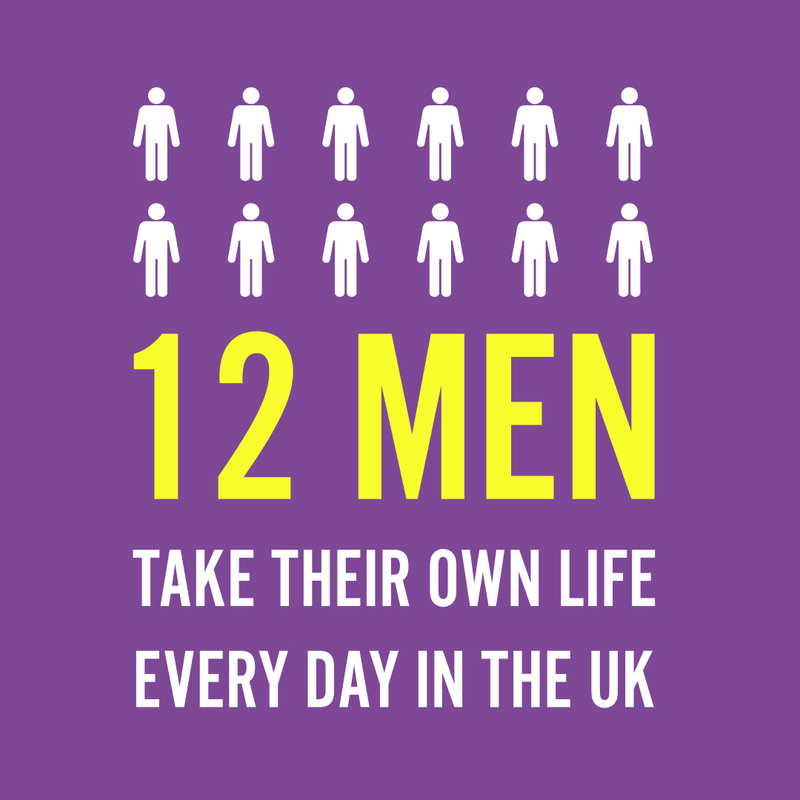 It was from Bournemouth that I started what is now a 13 year journey away from Northern Ireland, and I have spent most of that time being a long term traveller, or as the cliché goes – a nomad or a perpetual backpacker. With nothing but an insatiable passion for travel, I started working in lots of different jobs to fund my travels. I sold ice cream, I organised events in a theatre, and I worked in bars. I first travelled all over Europe, often tying it in with Northern Ireland away matches. Then I headed further afield to places like Belarus, China and New Zealand. 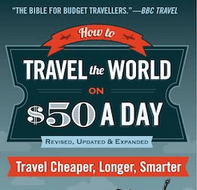 It was in 2007 that I was backpacking in Toronto and I met two English guys who had “travel blogs”. At the time, I had no idea what a travel blog actually meant but I decided to start one, there and then. I was just telling my stories of my travels around the world. In the 9 years since I started the blog, I have written over 3,000 travel articles now, while managing to visit every continent and around 115 recognised countries and a further 20 unrecognised countries or disputed regions. Travel is my life and I never know where I am going next. During my travels I funded my adventures with various jobs. I worked on the cross channel ferries from England to France, in an Irish Pub in Hong Kong, volunteering in Kyrgyzstan, broccoli harvesting in Tasmania, as a PR rep for Apple and planning Travel Apps for smart phones. However, since 2012, I have been earning my living from my travel blog “Don’t Stop Living” as a professional travel blogger. I work hard to ensure I can travel for as long as I want, using the money I earn to keep me on the road. I work closely with travel companies, I write sponsored posts, I review tours and hostels, I sell advertising and I write e-Books. I do as much work as I can to help other travellers and ensure my journey remains exciting every day. Cracking the 100 country mark in 2015 was a huge personal achievement, knowing I had backpacked on a tight budget through all those countries with hard work and passion. I am in the process of finishing my long awaited book, titled “Backpacking Centurion” which I can’t wait to finish and release. 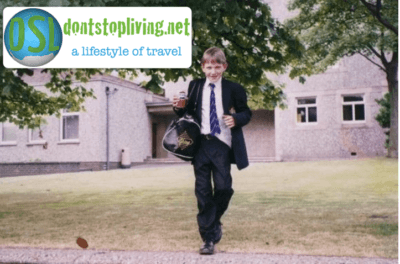 As a teenager at Bangor Grammar, I would never have dreamed of travelling to over 100 countries, running my own business and being free to move around at my own leisure. On my journey I have played football in Afghanistan, attended a Fireball Festival in El Salvador, fed hyenas mouth to mouth in Ethiopia and swam in Antarctica. Now that I have achieved all of this, perhaps it’s time to find a base once and for all and hang up my backpack for a while. On a final note, I want to mention some of the successes of my classmates from the “Y class”, we were a class brimming with talent and I’m proud to come from that class. My friend Paddy Campbell has gone on to become a successful playwright, his famous play “Wet House” has been on stage in Melbourne, London and Edinburgh. Scott Callen also travelled the world and set up his own business. Impressively, Dougie Gordon from the Y classes has completed all the world marathon majors – Dougie is only the 3rd male from Northern Ireland to achieve this, the 44th in the UK and there are only around 600 people in the world to achieve this feat. My classmate Lucan Toh set up his own PR Company and moved to Dubai. While Stuart Leathem enjoys a successful career in music (as well as being a music teacher), having worked on a track with Queen in 2015 featuring Freddie Mercury’s vocals. You can follow Jonny’s journeys at http://dontstopliving.net as well as on Instagram, Facebook, Twitter and YouTube. 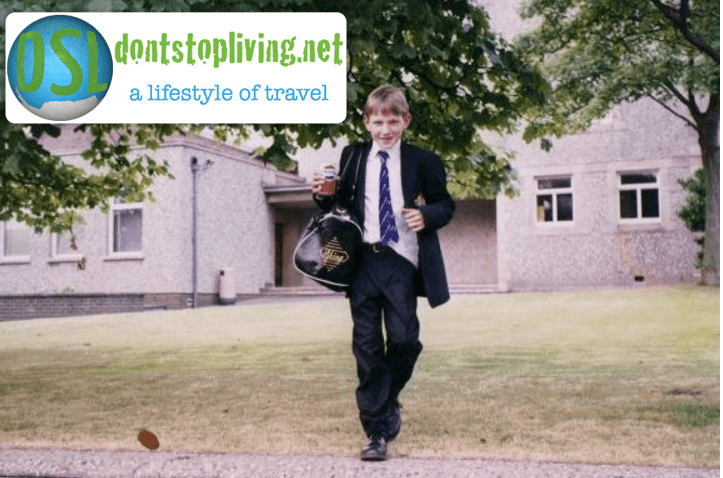 Welcome to Don’t Stop Living – a lifestyle of travel. 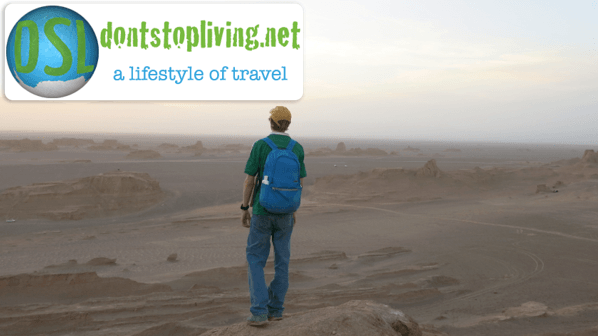 Don’t Stop Living is the LONGEST running ONE MAN travel blog that covers ALL SEVEN continents. 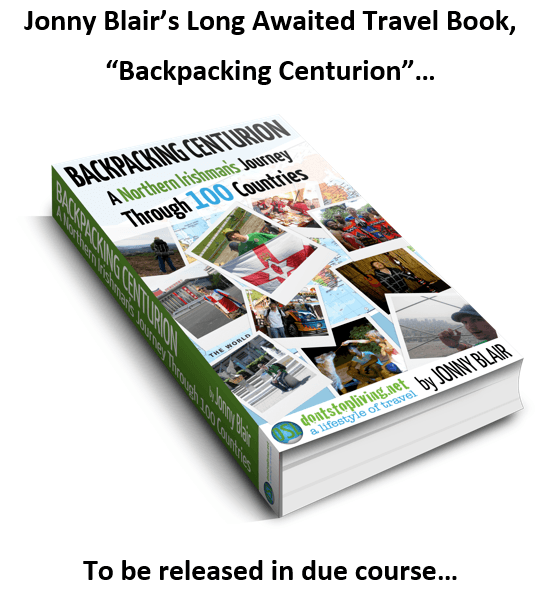 The Release of my Book, “Backpacking Centurion”!! People keep asking about the release of my book, “Backpacking Centurion”, and I expect to have more to come on this soon. Here’s the facts – I have written 147 chapters. They are done and dusted. They are almost finished editing. I will be editing them in my new home here in Gdańsk, POLAND. Some chapters need cut out as they are insane. Some chapters need edited. Some parts of my latest stories need to go back into previous chapters to complete the circle. Some of the recent scenarios of my journey are too good to leave out. There are good and bad stories about other people. There are many home truths, lunatic moments, exposition of liars, tying up of loose ends and hopefully some sense and sincerity. At some point, when I am satisfied with it, I will return to Bangor to release this book on a quiet evening in a local coffee shop in my hometown. It will be print only, no digital or audio version initially. The book will ONLY be available for those that attend that evening launch. I won’t be posting copies. That’s the situation as things stand. The book will be self published and locally printed in Northern Ireland. Once the book is out of the way, I will move onto my next project in life. When the sun sets over this town, or that town, I know I’ll sip a tequila sunrise or a ciemne piwo and feel proud of all of this when this is finally released. Thanks to Bangor Grammar School for my time there and for the feature in The Grammarian. Thanks to you all for following my story. This entry was posted in Bangor, Bangor Grammar School, Daily Features, Education, Europe, Northern Ireland, Studying Saturdays. Bookmark the permalink. Awesome to hear that your old school recognized you like that … good luck promoting your book!